With Shaquill, the Seahawks’ third-round pick, locking down the starting right cornerback job in Seattle, and Shaquem coming off the best and final season of his college career, both Griffin brothers are thriving despite being apart from each other for the first time in their lives. 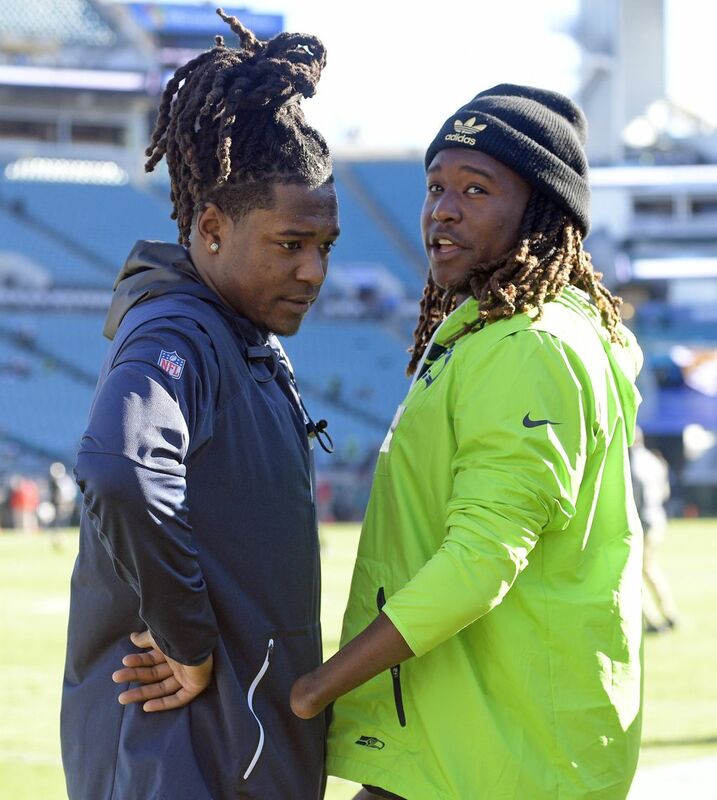 Most days, Seahawks rookie cornerback Shaquill Griffin sits in his locker before practice at the Virginia Mason Athletic Center with earphones plugged into his ears, staring down at his iPhone screen into a mirror image of his own face. 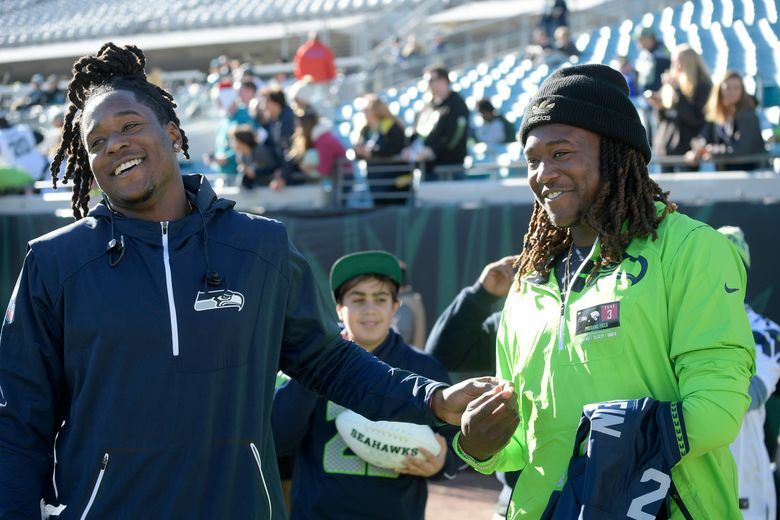 Occasionally, Griffin laughs heartily at something his identical twin brother, Shaquem Griffin, says via FaceTime from Orlando, Fla. As the hubbub of the Seahawks’ locker room unfolds around them, the twins catch up every day, ensconced in their own little bubble. A reporter approaches on this December afternoon to ask Shaquill how he and Shaquem, a linebacker who’s just led Central Florida to a 12-0 regular season, are different in personality. “He’s definitely more goofy than I would be,” Shaquill says, then laughs at a comment from Shaquem, who’s listening in through their active FaceTime link. “Shut up, Keem,” Shaquill says into the microphone connected to his earphones, before turning back to the inquisitive media member. “I’m more serious and mature,” Shaquill responds with a grin, sorta, kinda tongue-in-cheek for the benefit of the twin who’s listening in. With Shaquill, the Seahawks’ third-round pick, locking down the starting right-cornerback job in Seattle, and Shaquem coming off the best and final season of his college career, both Griffin brothers are thriving despite being apart from each other for the first time in their lives. This weekend is big for the twins. 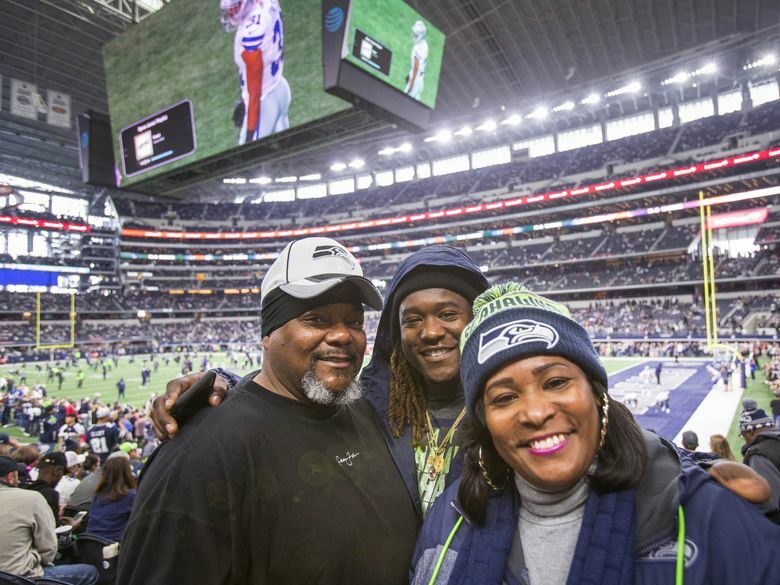 Shaquill and the Seahawks have one last chance to try to earn a playoff berth in a must-win game against Arizona at home on New Year’s Eve. Then, on New Year’s Day, Shaquem and the UCF Knights will try to finish their undefeated season with a win in the Peach Bowl against favored Auburn. Even though they live more than 3,000 miles apart, the Griffin brothers’ unbreakable bond as twins continues to connect them as they embark on separate paths to forge their own identities. 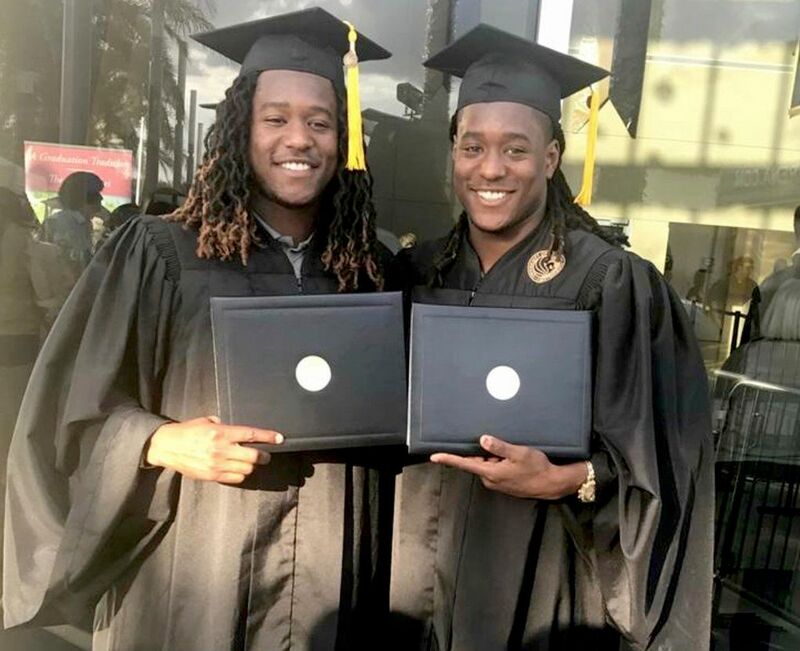 Born a minute apart on June 20, 1995, Shaquill and Shaquem Griffin have been inseparable since birth, and until this year, beginning when Shaquill left Florida in January to train for the NFL draft, they had never been apart for more than a few hours at a time. “As soon as I dropped him off at the airport and said goodbye, I came home and went to his room and it was tough to take his pictures down and pack up his stuff,” Shaquem says. Identical twins have been known to have a special connection akin to tele­pathy, and this unique connectedness has always flowed between the Griffin brothers. On the football field, the Griffin brothers have always been a dream defensive tandem, with Shaquem, the linebacker, able to read Shaquill the cornerback’s moves and play off him. “They’d give each other a look saying, ‘I know you’re ready to jump this route,’ and the other would give a look saying, ‘I got your back,’ ” Tangie Griffin says. This year, they’ve proved that the twin connection works long distance too. The easiest way to tell the Griffin brothers apart is to look for their left hand. Shaquill has one. Shaquem does not. Shaquem was born with amniotic band syndrome, meaning, a fibrous strand of the amniotic membrane wrapped itself around his left hand while he was still in his mother’s womb. It prevented his hand from forming fully, and when Shaquem was born, his left hand was much smaller than the right, with five nubs instead of full-length fingers. Shaquem’s left hand was incredibly sensitive to touch, and any time the little boy accidentally hit his hand on anything, it caused him intense pain. So after Tangie woke up one night to the sound of Shaquem screaming in agony and clutching a knife in an attempt to cut off the offending left appendage, she knew she had to help her son. Shaquem had his left hand amputated at age 4, and he’s always told his parents that was the best decision they ever made for him. He’s never seen his missing hand as a disadvantage, and that mentality has made him a tough opponent on the field. He showed it in the Knights’ conference-championship game against Memphis earlier this month when he outmaneuvered an offensive player for a fumble and recovered it despite having only one hand. Even as a little boy, Shaquem often refused to let people help him do things he thought he should be able to do himself. That didn’t stop his twin brother from trying, though. Shaquill entered the world only a minute before Shaquem did, but he’s always assumed the role of the protective older brother. Tangie recalls getting a phone call from the boys’ day care when they were little and being told that one of the other children had called Shaquem “pickle hand.” Shaquem thought it was funny, but the comment angered Shaquill. He shoved the kid who had teased his brother and the day-care center called to ask Tangie to pick the boys up. Yet, Shaquem, in his own way, feels equally protective of his “older” brother. 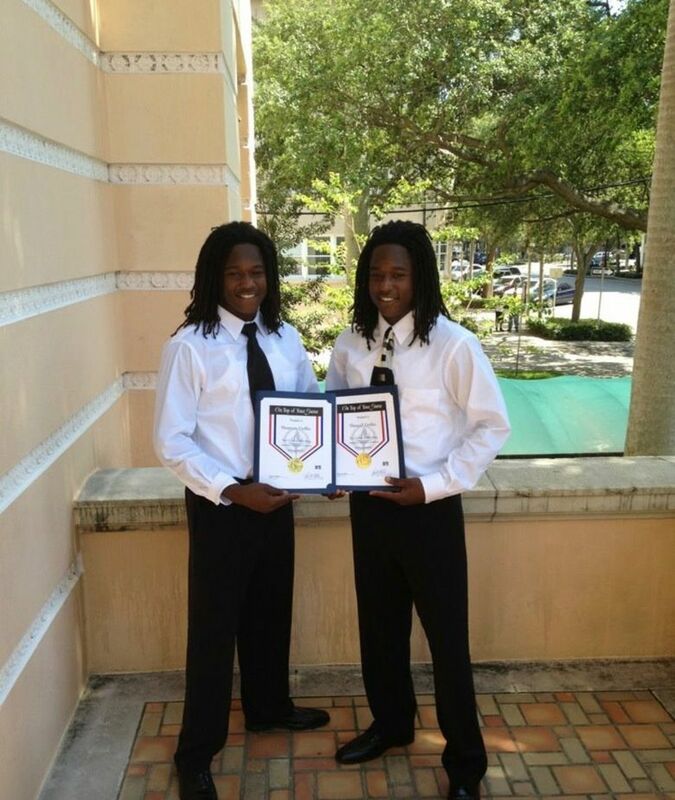 Which is how the twins ended up playing college football together at UCF. Coming out of Lakewood (Fla.) High School, Shaquill had a slew of football scholarship offers. But fewer teams were willing to take a chance on a one-handed defensive back. Shaquill wouldn’t budge, though. He told every coach who recruited him that he and Shaquem were a package deal. So the brothers signed to play for George O’Leary at UCF. But the next few years went much more smoothly for Shaquill than Shaquem. Shaquill played nickelback as a freshman, worked as the second-string cornerback as a sophomore and won the starting role by his junior year. Shaquem redshirted his first season, remained on the scout team the following year and played some special teams as a redshirt sophomore. But try as he might, Shaquem couldn’t break into the defensive lineup at safety. That 2015 season — Shaquill’s junior year, Shaquem’s redshirt sophomore year — was a trying time for the twins. Shaquill felt for his brother, because he knew Shaquem was unhappy and felt like he wasn’t getting a fair shake. The Seahawks cornerback even mulled the idea of leaving school early for the draft out of solidarity for Shaquem. At his lowest, Shaquem considered quitting football and transferring to a different school to run track. The Griffins were saved from having to make any drastic changes when O’Leary resigned in October 2015. The Knights finished that season 0-12, but that woeful season brought Scott Frost into the mix. Frost, O’Leary’s replacement as UCF head coach, was passionate, energetic and — more important — willing to give every player a clean slate and re-evaluate them. The new coaching staff changed the defense from a 4-3 to a 3-4 and moved Shaquem to linebacker. He won a starting outside-linebacker job to begin his redshirt-junior season — Shaquill’s senior year. For the first time in years, that season, the Griffin brothers were starting on defense together again. Shaquill played his way to second-team all-conference honors. But Shaquem was the surprise of the year. After waiting three years to get his chance, Shaquem finished his first season as a starter ranked 12th nationally with 11.5 sacks and 13th nationally with 20 tackles for loss and was named the American Athletic Conference’s Defensive Player of the Year. That position switch was key to his success. Linebacker aligns more closely with Shaquem’s strengths than safety ever did, Shaquill says. And it’s something their father, Terry, tried to tell Shaquem when the twins were in high school. NFL draft weekend in May was special for both brothers. Well, when the Seahawks called to tell Shaquill they’d selected him as the 90th overall pick, no one was more excited for him than his twin. Some of that emotion can be traced back to those bleak pre-Frost days at UCF, when a despairing Shaquem felt as if he’d done everything he could to get on the field, but would never get a chance to play. But it’s starting to look as if Shaquill might not be the only Griffin brother in an NFL jersey next fall. Shaquem has been productive in his senior season. He has 10 TFL and 5.5 sacks, he’s been named an AFCA second-team All-American, and a first team All-AAC selection. And he’s made some eye-catching plays for the Knights — his frenetic pursuit of Memphis quarterback Riley Ferguson in the final play of the AAC title game forced Ferguson to throw an interception that sealed the win for UCF. Shaquill was watching that game on TV. And he felt Shaquem’s big moment every bit as intensely as Shaquem had felt Shaquill’s excitement when the Seahawks drafted him. NFL teams will be watching when Shaquem and the Knights duel Auburn in the Peach Bowl. Could Shaquem end up with the Seahawks? It’s not impossible. After all, the Seahawks think very highly of the first Griffin brother they drafted. Seattle defensive-backs coach Andre Curtis calls Shaquill a “very humble guy who really takes coaching, and really tries to hold true to the details,” and says he was impressed by how easily Shaquill bought into the Seahawks’ defensive style. The Griffin twins would love nothing more than to be reunited in the same city as pros. For what it’s worth, Shaquem has at least one fan on the Seattle coaching staff.